Here are the Hot Jobs in the Greater Fall River area from the NewBedfordGuide.com jobs database, as of February 2, 2018. If the job has a number in its title, you can find more information by going to the Massachusetts Job Quest web site. Click the right arrow to browse the next job. Want your job listed here? Contact leo@newbedfordguide.com. • Progressive incentive program for providing additional solutions to customers – As you earn points, you may choose from thousands of rewards such as digital tablets, riding lawn mowers, or even airfare to Hawaii! • An opportunity to earn additional bi-weekly incentive pay through achieving your performance goals! • Conducting site surveys – determine the best positioning of our equipment for strongest signal reception. 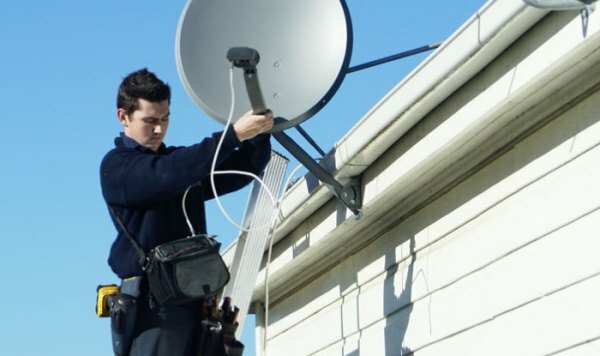 • Installing cutting edge technology – place mounts, satellite dishes and receivers while ensuring broadband connectivity. • Educating customers – review order with the customer and teach them the basics to use and enjoy their new service and equipment. • Providing Dish Smart Home Services – successful technicians have the opportunity to offer our customers additional services and products while earning incentives and building new skill sets that will propel them into the future of in-home services delivery. • Must possess a valid driver’s license in the State you are seeking employment in, with a driving record that meets DISH’s minimum safety standard. • Cable industry experience is a plus.